Arranged marriages have been an age old practice in India and it is a long process. The first meeting of the bride and groom, the first meeting of the two families, the first familiarization, the first impressions everything happens in a day’s time that determines the path of the future of the two very different but to be united people. From the first day to the day of marriage and even beyond, it is thin line to walk on because both the individuals are strangers to each other and are being asked to be friends and also partners in a very short period of time. Everything needs to go according to what one might want to see in the other. Being true to oneself and proceeding with an open mind into such situations is always looked for. However awkward the situations might be for the boy and girl, the first meeting is the beginning of a huge journey. Proper approach is very important in any proposal. Asking about her background isn’t the best thing to do, ask her what she likes, be interested in. How to impress a girl in the first meeting for arranged marriage, is a question asked often. -Be humble, be down to earth. -Be a person she can converse with freely. -Ask her about things she has done and things that have made her feel happy at one point or the things she has experienced, her likes and dislikes also make up a huge point of topic where she wants to be in the coming future and her wishes and desires. -Make her feel wanted. Have meaningful conversations with her. Talk to her, debate with her make her feel as though her words have proper meaning and conscience. Arranged marriage first question is always controversial, you need to know what to say to make a good impression. -Ask what he wants in his life, what are his hobbies and his interests and what he wants further in his future, what he expects. -Ask him the questions that bring out the drive in him and find a way to connect with him. -Find a way to show how you are going to try to stay in the same track as him and if not the same at least in the same wavelength. But most of all both the girl and the boy should also discuss their families. Respect for each other’s backgrounds and upbringing and still staying grounded is very important before starting a new journey. Judging is not being judge-mental, it is about seeing if both the partners wavelengths match. How to judge a boy in arranged marriage is based on what he says and how much he listens, how humble he is and what he believes in and whether he is accepting or not and will guide and help you in your life by the way he portrays himself. This can be determined by seeing if the guy is interested in whatever you are saying, your achievements and your adventures. Even your lows and your highs should be taken by him in a good sense and he should encourage your flaws and cheer you on your perfections. How to judge a girl in arranged marriage is very easy, if the girl is willing to open her mind and heart and is trying to accept and listen to your words and is also very strong in what she believes, she is the one to go for! There are no predefined things to look for in arranged marriage, it should go the way it was meant to like the sea flows, if the course is supposed to go your way it actually might. She needs to have the same wavelength as you and she needs to show interest in your work and your interests. Then comes the question on how to judge a person for marriage, well this question can be answered by the question “how do you judge other people in your life?”, if they were to impress and leave a mark, they will. After the initial conversation with each other, comes the time of the first arranged marriage first meeting with parents. The first meeting is always awkward. The first meeting always has tons of doubts and questions, but questioning about their salary isn’t the best way to go, talk about the person, their life and their achievements. If the girl or boy themselves raise the topic of how well they are doing in their life, the forbidden discussion is obviously not frowned upon anymore. After the first conversation ends , it is time for knowing how things are going to proceed thereon. It is always good to stay in touch but obviously not overdo it to a point that it is frowned upon or looked down upon. Going forward with conversations and keeping in touch to build a proper friendship from the first meeting in arranged marriage helps develop a friendship and set a base or foundation of sorts in the relationship. There is no solid answer to “how to know if a guy likes you in arranged marriage”, because a person might change their decision based on what they feel by the time they call back or meet you again. It all depends on how the conversation goes. Later if things start to develop the first meeting of arranged marriage determines everything and what impression one has made. Going forward with it is staying the same self you were the first time you met but slowly and steadily opening up a tad bit more than you already have. Moving on to it, subsequently based on the first meeting of arranged marriage, the future dates and meetings evolve and bloom into something better and brighter. One should keep following points in mind. -Be clear in your wishes and demands so that later on it doesn’t affect your foundation. -Have daily meetings with the families and understand the likes and dislikes of both sides. -A marriage is not only the bond between two people but also a binding unity between two families. -Keeping in mind that the rest of your lives are going to be spent around each other’s environments it is better to get used to it and understand and respect things. -The next comes understanding. Understanding is key to every budding and every existing relationship? Same applies for arranged marriages. In this section, we will discuss about the questions a girl or a boy may ask on first-meeting for arranged-marriage. Marriage interview questions and answers are like normal starting conversational questions, it is better not go overboard with those, or else it might not play out the way you want it to. The tricky questions to ask a girl is about their experiences in regards to what they can do and what they cannot, it is better to let them speak about those things! Questions to ask a boy before arranged marriage in Indian weddings, might be vital to know his nature and his conscience. 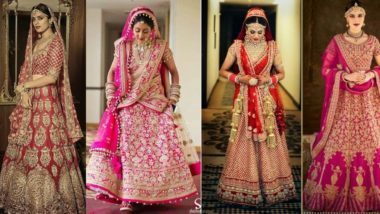 How to talk to a guy in arranged marriage depends on one’s similarities with the other, if interests and feelings are more or less similar, it is quite likely that the conversation being made will be viable too. Arranged marriage conversations are awkward but making the mood lighter with funny incidents showing you are not afraid of opening up to them can go a long way. In arranged marriage first meeting is based on interests, hobbies and experiences. Opening up is key, that is the only way one can hope for a valuable future with their partner. What to ask a boy on first meeting for marriage also depends on his endeavors and insecurities, to make your partner feel at home is very important! What questions to ask a boy before marriage aren’t all that fancy just simple words with even simpler intentions. In this section, we will discuss how to impress a girl or a boy on first-meeting in arranged-marriage. How to impress a guy in first meeting for arranged marriage is pretty simple, be yourself. Be frank and humble it just might do the trick! Arranged marriage questions and answers are a long list that nobody can answer perfectly, it is the first meeting conversations that turn into a fruitful relationship later on. First meeting for arranged marriage, might be a bit difficult but it usually turns out be a golden opportunity to find the friend in your partner. There is no prerequisite arranged marriage tips, just to go with the flow might help. Do not expect anything before hand from an arranged marriage meeting, it is always best to go with an empty mind but an open heart. Open enough to accept the things that might come your way and the questions after all both the girl and boy are facing a conundrum in their minds! In arranged marriage first meeting it is better to go unprepared, let things take course the way they need to! After the meeting ends it, if it has gone smoothly then the conversation carries on social media forum, what to ask a girl in first chat is very different from what you might ask your new friend or somebody else, you can’t seem too forward or too backward either. It just has to go normally, talk to them formally first before you speak clearly and without hiccups. With budding relationship and an even more stinger bond the rest is rather simple. With that being said, the paramount preparations and decisions taken at this forum and at this point goes beyond imaginations. Everything builds up from the point the preparations begin, but in reality it is all about the first arranged marriage meeting. Marriages demand for extreme celebration, it is the coming together of two souls who come from two different families and lives. It is the point where two lives entwine and come together as one. Getting to know one another can cause the new journey to be smoother. Weddings are the beginning of a new path to a brighter future that has to be set by two individuals. Taking the right step is always prudent, but getting to careful and cautious just mean that you aren’t willing to try, mistakes and blunders and all those little perks are what make a marriage look for soulful ad lively. The first meeting of arranged marriage is the beginning of a journey, and first impressions matter, they determine how the journey starts, one can sway the ship the way they want to after that particular day and moment. Give them their heart and mind and try as hard to show the reality, because the person in front of you are the ones you might be spending the rest of your lives with and you can’t be disloyal or dishonest. All weddings have a certain charm and anonymity to them and the beginning of them are what decide the course. Wedding rituals differ from each place. People are bound together all over India by a variety of beliefs that still keep them grounded, and before marriage it is better to know that you will be able to respect each other’s beliefs because it might very well be that not of the partners have grown up seeing different things in life and have been around different beliefs.